The role of a service desk manager is to provide the single point of contact between an IT organisation and its users. A major part of this role is to ensure that incidents are dealt with effectively and normal service is restored as quickly as possible. Responsibilities include developing, implementing, monitoring and improving processes and procedures and this essential guide covers areas such as purpose, required skills and career progression, as well as tools, standards and frameworks. 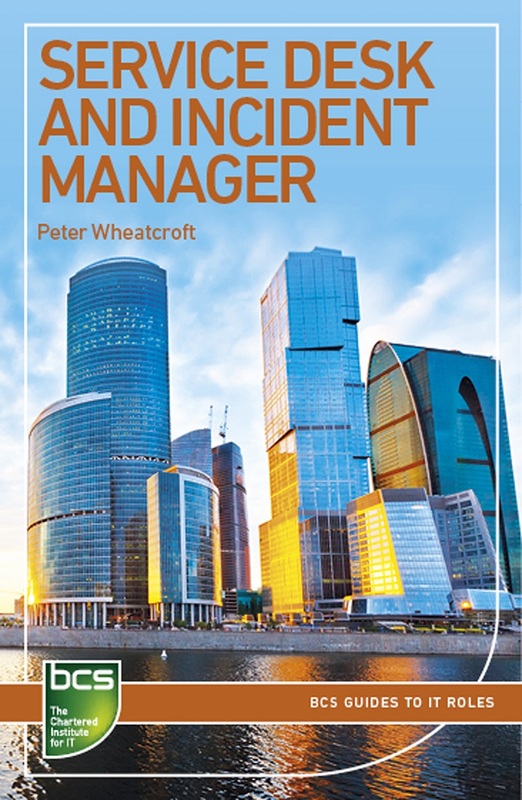 Peter Wheatcroft is a specialist in service transformation and has consulted widely in this area since 2002. Before becoming a consultant, he was the Director of Commercial & Information Management for Alliance & Leicester plc. He is both a Chartered Engineer and a Chartered IT Professional, holding fellowships awarded by the IET, BCS and the CMI. One of the key challenges to delivering great IT service is both the recognition of the role of the service desk and the need to drive process rigour and positive people interactions simultaneously. This book thoughtfully combines all that is at the heart of sustainable and consistent IT service desk delivery. Peter really understands how to mature your IT service in this step-by-step reference guide that is rich in practical detail. A practical and thorough introduction to this neglected and often misunderstood area. Recommended. The book scores 10/10 in terms of content and value for money. It provides an excellent introduction to the service desk. Readers of all levels working in service delivery will surely benefit from the practical guidance provided.